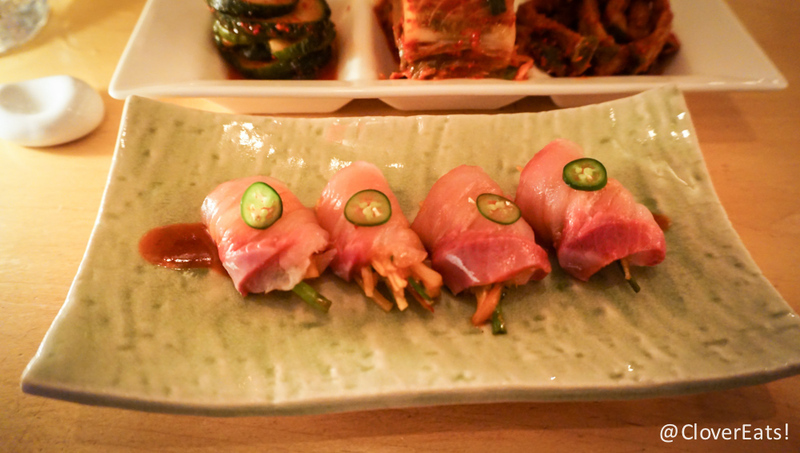 The best thing I’ve eaten all year: Danji in NYC | Clover Eats! It’s fitting that the best thing I’ve eaten all year was in NYC. 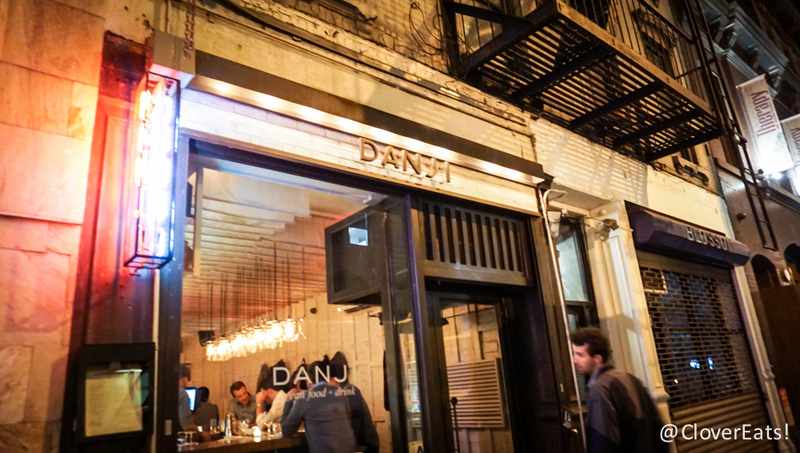 We headed to Danji late one night. 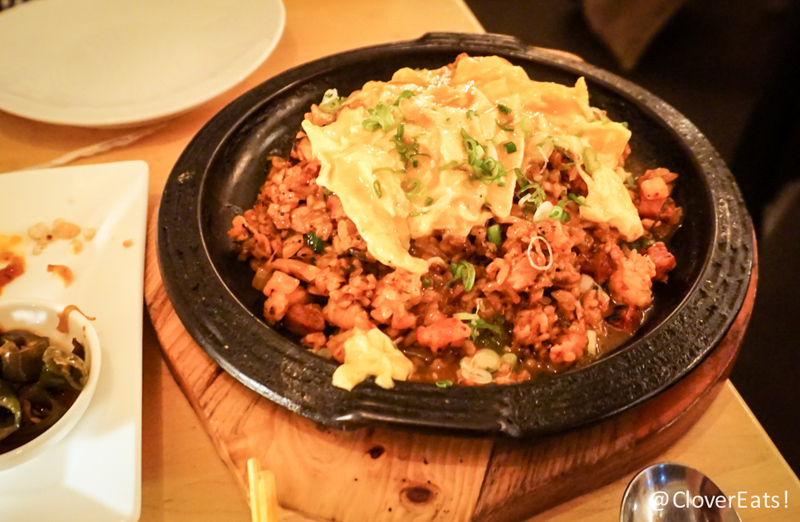 Danji was reportedly the first Korean restaurant to get a Michelin star, although it has since lost it. We made reservations, and were glad we did so because it’s a pretty small space. 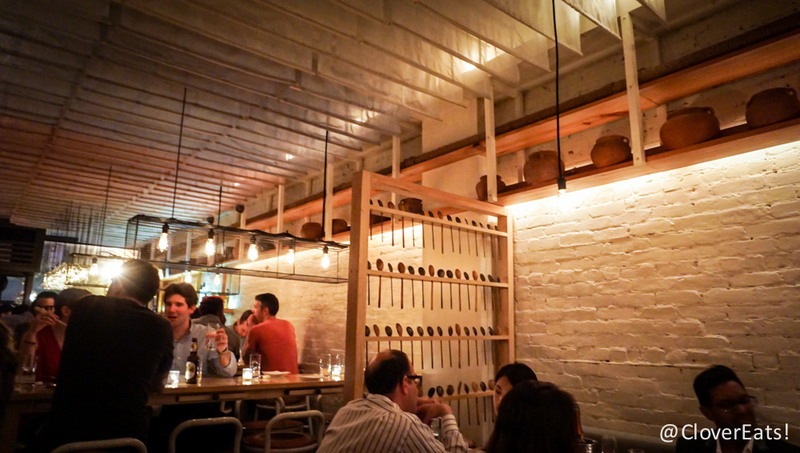 It feels very trendy, and I’m sad I didn’t bring my larger camera, because I feel like the dim light made it hard for the Sony A6000 to capture how magnificent the meal was. 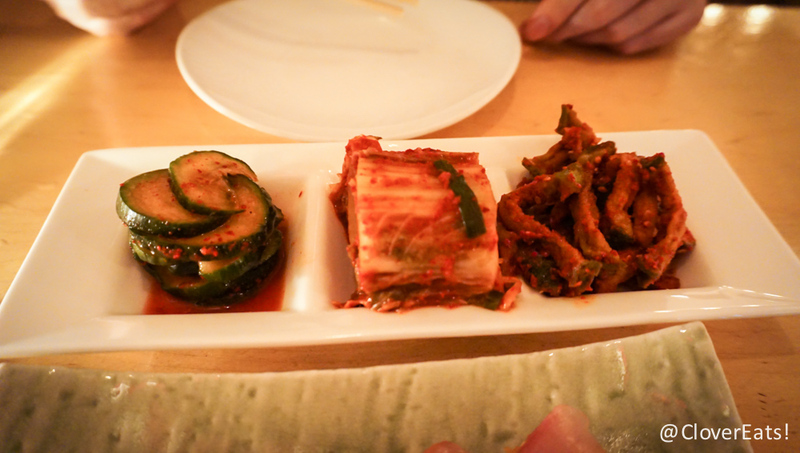 We started with the kimchi trio (our waitress recommended this over the banchan and pickled vegetables), and I especially liked the kimchi radish. 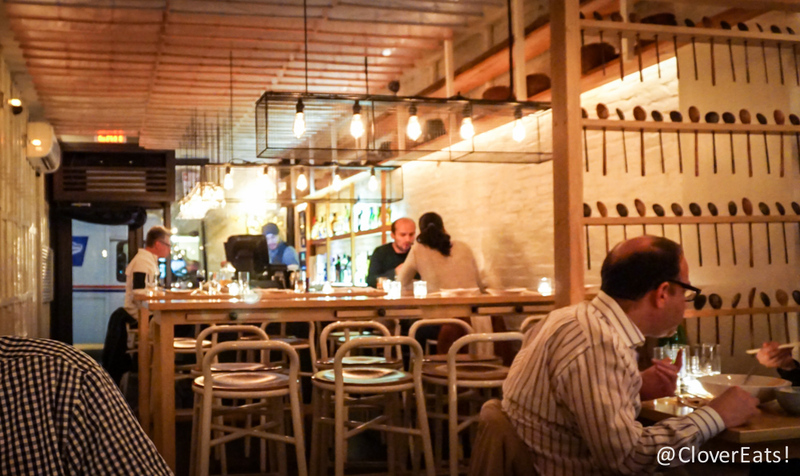 We thought about doing the tasting menu ($48/person), but after we added things up, it wasn’t much different than just ordering everything individually, price-wise, and we thought it’d probably end up being too much to eat. 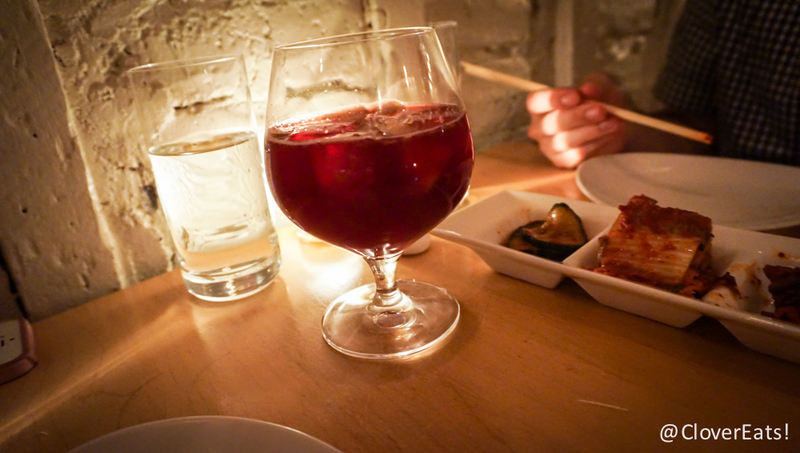 My cocktail, a soju sangria, was good, but just basically tasted like sangria. 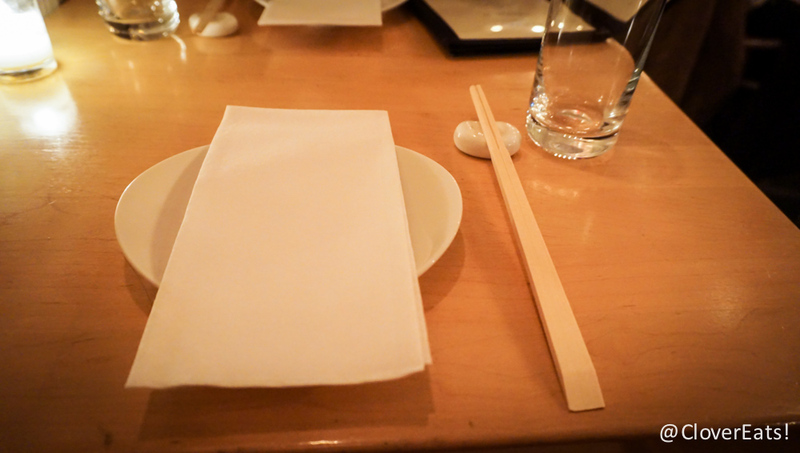 The service was top-notch, although I thought it was silly that there were wooden disposable chopsticks rather than real ones, and that our menus were in drawers. 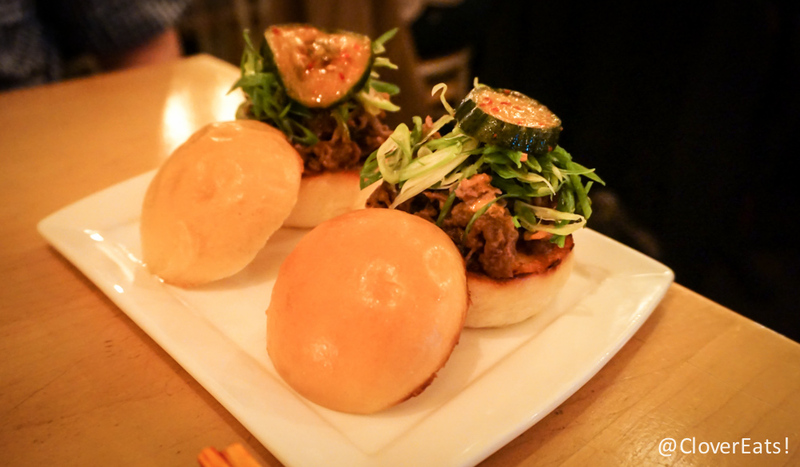 We also got some spicy yellowtail sashimi that was great, but the true star of the meal, of the entire trip, of literally the whole year, were the Bulgolgi Sliders. These were absolutely perfect. The bulgolgi was so flavorful, just the right amount of sweetness, and almost melted in my mouth. The buns were buttery and smooth, it was absolutely amazing. I’d come back to NYC just for these. I texted all my NYC friends to tell them about this. Really, absolutely superb. Everything else, while still fantastic, just didn’t compare to the sliders. 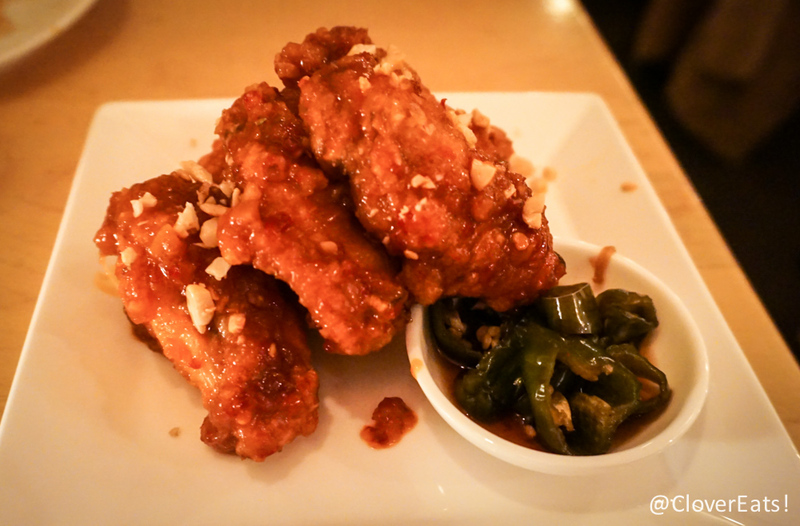 The KFC wings were amazing, although a little too spicy for this foodie’s tolerance. The kimchi bacon wet fried rice was also great, although a little on the heavy side; I wish there were more pickled vegetables or something sweet to cut the density. Still, fantastic. Unfortunately, there was no dessert, which is a shame because I think some twist on green tea would have been great. The two of us spent $100, a cost I’d happily pay again for such a fantastic meal. Wow your blog is amazing!! Great photos! The food looks delicious 🙂 good restaurant choices too.